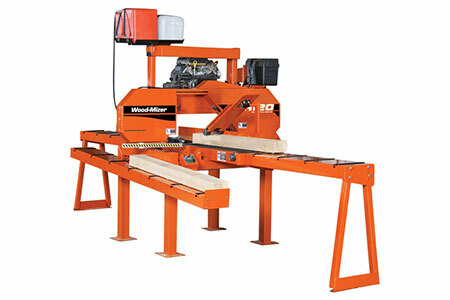 The HR120 Horizontal ReSaw is a basic, affordable resaw, with an innovative design that cuts extremely accurate lumber. Different from most basic resaws, the HR120 has a large 16" width capacity and is powered by either gas, diesel, or electric power. This unit also features all electrical drives, eliminating the need for hydraulics. Compact design with a large 16" width capacity.